Fleur de Sel, Anse Royale Best Price Promise! 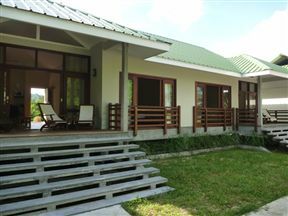 Fleur de Sel is a self-catering guest house situated on the south-eastern coast of the island of Mahé, more precisely on the Anse Royale beach. 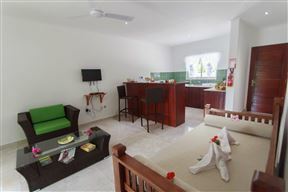 It is made up of four waterfront ocean-facing one-bedroomed apartments, each capable of hosting two adults and one child. Demeure de Cap Macon, Anse Royale Best Price Promise! 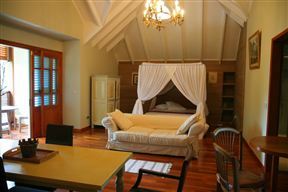 Demeure de Cap Macon is a beautiful guest house in Anse Royale with six self-catering apartments. The calm turquoise waters and sheltered reef creates the ideal spot for swimming and snorkelling. Located in Anse Royale, South Mahé, Coco Blanche is literally meters away from the warm waters of the Indian Ocean. Au Fond De Mer View, Anse Royale Best Price Promise!